The Keene Chorale | OPEN TO ALL! 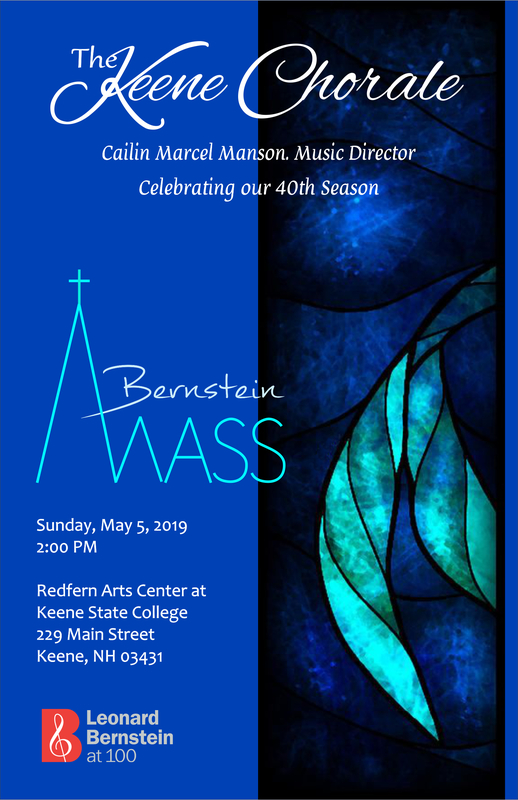 The Keene Chorale, winner of the 2018 Ewing Award for performance art, will celebrate its fortieth anniversary on Sunday, May 5 with a fully staged performance of Leonard Bernstein’s Mass at the Redfern Arts Center at Keene State College, as part of Bernstein at 100, the centennial of the composer’s birth. The 2 p.m. performance, directed by Maestro Cailin Marcel Manson, will feature street singers, orchestra, a jazz band, and tenor Alan Schneider as the celebrant. Bernstein composed Mass at the request of Jacqueline Kennedy, for the 1971 inauguration of the Kennedy Center for the Performing Arts in Washington, DC. Bernstein had composed Fanfare for the Inauguration of John F. Kennedy and had also dedicated Symphony No. 3, Kaddish, to the memory of Kennedy shortly after his assassination. Mass is a study in social unrest. Its themes of faith, social conflict, and doubt speak to today’s political challenges as powerfully as it spoke to the social unrest and challenges in the early 1970s. At the conclusion of its premiere, Mass was greeted with three minutes of silence and a thirty minute standing ovation. It continues to challenge audiences to find what unites us in its clashing voices and musical styles. Mass leads the audience through a dramatic crisis in faith and challenge to authority and finally resolves in a renewal of faith and reaffirmation of hope for universal peace. This performance of Mass is funded in part by grants from The New Hampshire State Council on the Arts, The National Endowment for the Arts, the Waldo and Alice Ayer Trust, Citizen’s Bank, N.A. 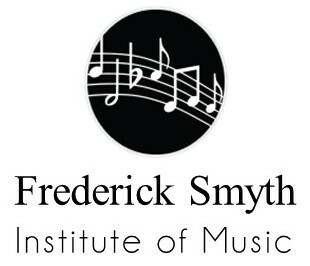 Trustee, The NH Charitable Foundation’s Putnam Foundation, and The Frederick Smyth Institute of Music. The New Hampshire Charitable Foundation’s Putnam Foundation. Singing with The Keene Chorale is OPEN TO ALL. We are a welcoming non-auditioned chorus, and our members include singers with a wide range of musical and life experience, from high schoolers to octogenarians. It’s not unusual for folks who haven’t sung since high school or college, or who really just like to sing, to become part of our musical family. Not everyone comes to us reading music. As long as you can carry a tune and learn to stay on pitch, that’s fine with us. If you’re not sure if you are a soprano or alto, tenor or bass, we’ll help you figure it out. We all begin each semester at the same place: the beginning! As a new member you can expect to feel welcomed the first time you walk in the door. We know we have a (well deserved) reputation for musical excellence and exciting performances, but we do not consider ourselves elitist or exclusive. Performance excellence comes from our shared journey each semester, from the hard work (and fun) under the leadership of Music Director Cailin Marcel Manson. Along the way we learn quite a bit about our voices and the pieces we perform, and have a really good time doing it, starting with the first note of our warmup!